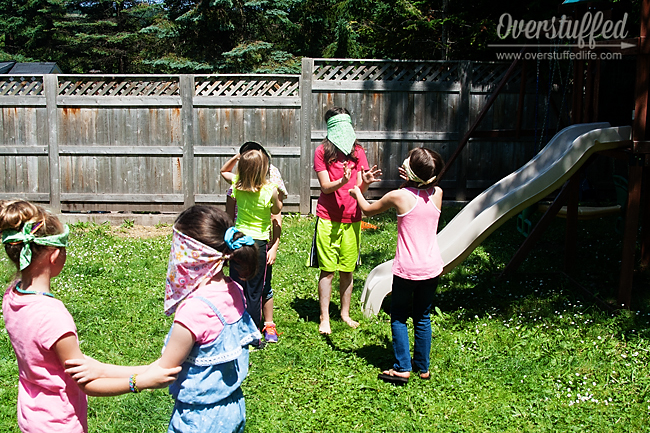 This post is also part of a SUMMER FUN series hosted by Emily of Nap-time Creations. We started hosting summer book clubs for the girls two summers ago. The girls have seen how much fun I have with my own book club each month, and they love to help me come up with fun refreshment ideas to match the theme of the book we read when I host the book club at our house. So, naturally, they thought it would be super fun to do their own book clubs. And they were totally right, because a book club is a great excuse to have a fun party! Bria and Chloe did their first book club together in the summer of 2012, and Chloe did another one last summer. Sophia is going into third grade this coming fall, and she hasn't been interested in doing her own book club before this year (partly because she was terrified of chapter books last summer), but she was all for it this year. We just had her book discussion and party last week and it was a blast! 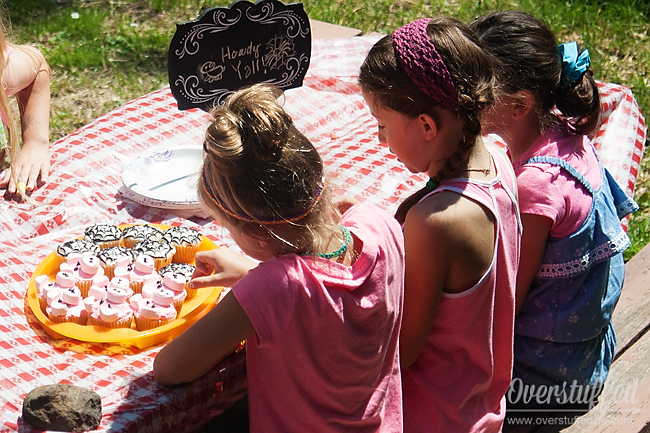 I thought I would outline the steps we take to run a fun kids' book club, and at the same time tell you all about Sophia's fabulous book club party! This is the most important thing. It's really easy for me to get carried away with ideas about which book they should read and which activities they should do, and I sometimes forget that this is not MY book club. I already have my own book club, and I need to let my child have the joy of planning and preparing for her own. I give a lot of guidance and help, but mostly they make decisions and make a lot of the invitations and other plans all on their own. The first order of business is to choose a book. 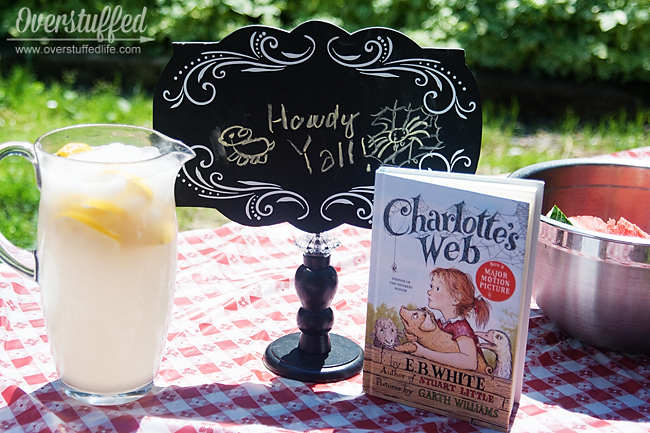 Sophia chose Charlotte's Web this year, because she had just started reading it on her own and was really enjoying it. While I think it is incredibly important to let your child choose the book, you may need to offer some guidance. Some kids don't read as well as others, so you'll want to be sure the book is pretty appropriate for the age group you are inviting. Charlotte's Web turned out to be an excellent choice for a group of girls between 2nd and 3rd grades. 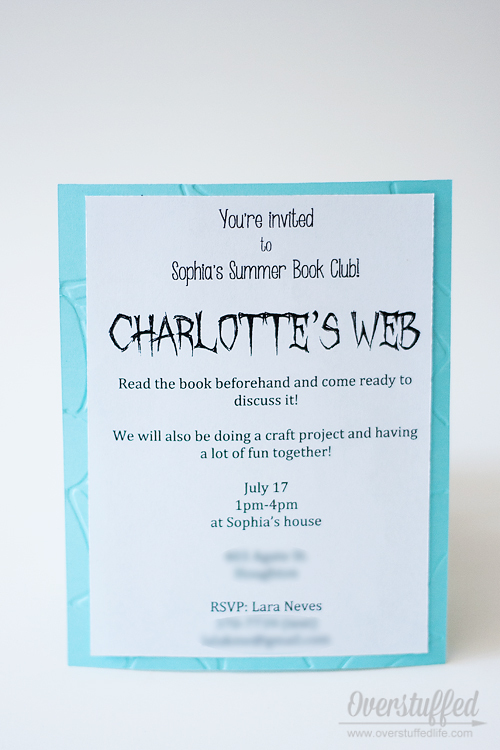 Sophia and I thought it would be fun to somehow showcase a spider web on these invitations. 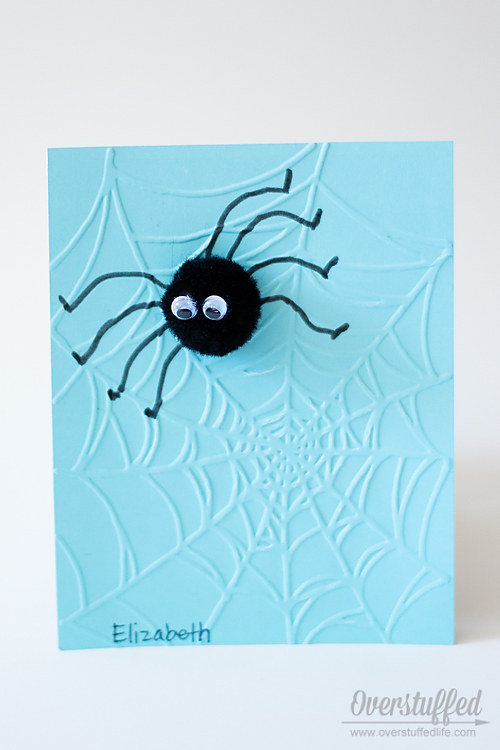 I have a Big Shot (die cutting and embossing contraption) and a spider web embossing folder, so Sophia helped me to emboss some light blue cardstock with a spider web. Sophia helped to hot-glue googly eyes to a black pom pom and then hot-glue that to the cardstock. We then drew legs on with a marker. These were incredibly easy to make and they turned out absolutely adorable! Sophia chose how to word the invitation (for the most part) and I helped her type it up with the fonts that she chose. We printed those out, glued them to the back, and were ready to go. We procrastinated the invitations just a bit, so it ended up that I was still printing and gluing way after Sophia's bedtime on the eve of the last day of school. Which brings me to my next point–if you're going to have a summer book club, it's a good idea to pass out invitations before school is out. This way, everyone has time to procure a book and have it read before book club. Our last day of school was June 13 (see Sophia holding her bag of invitations in her last-day photo), so that gave everyone just over a month to find a copy of the book and read it. Also, Sophia wanted to invite a few friends that I wouldn't have been able to contact outside of school. Even if you don't pass out your invitations while school is in session, make sure to give a good four weeks between invite and the date of the book club meeting. As I'm sure you well know, parties with kids have to be well-planned and you have to have enough activities to last, because these little people move from one thing to the next at the speed of light! While we waited for everyone to arrive, the girls played outside and ate watermelon. Sophia helped me set up the picnic table to look a little like a farmyard picnic table might look. Don't you love her sign? She also set out stuffed barnyard animals (I forgot to get a photo) on the deck furniture. So adorable. Once all of the guests I knew were coming arrived, we started with an outdoor game. Sophia wanted to play one of her favorite games–we call it Blind Barnyard Animals. Everyone draws the name of an animal out of a hat. In the hat are two of each animal. After everyone knows which animal they are, they spread out, put on their blindfolds, and begin to oink or moo or meow or make whatever sound their animal makes. The idea is to find their match as quickly as possible. Obviously, one needs an even number of players to play, so Chloe helped us out with it. We played about five rounds of this game, and then we had lemonade to cool off and sat down on the deck to discuss the book. After the (short) discussion (more on that in a minute), we went inside to do a fun craft project. 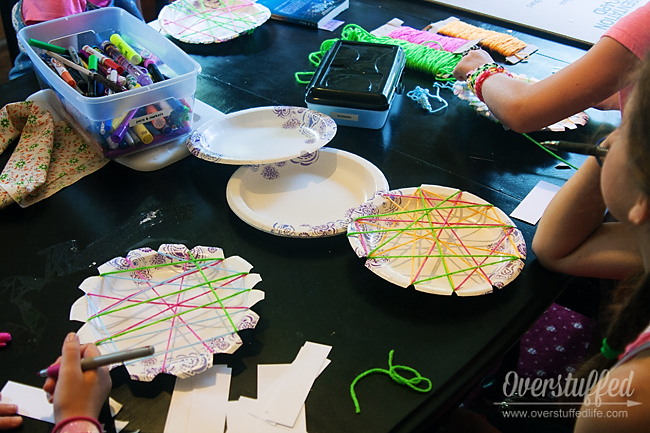 We made spider webs out of paper plates and yarn. It was a super easy project and the girls had a lot of fun with it. 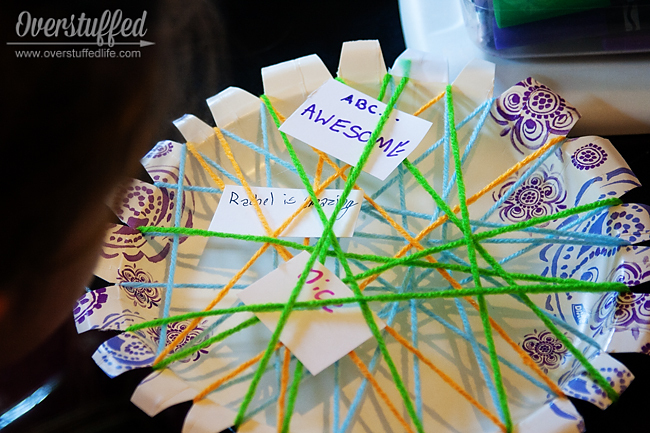 Sophia had wanted to somehow incorporate the complimentary words that Charlotte spun in her web for Wilbur, so we had each girl write a complimentary word about all of the other girls at the book club. They then placed their words in the corresponding girls' spider web. I loved seeing the creative webs each girl made, and even more, I loved seeing the kind words they wrote about each other. In all of our previous book clubs, we looked through the book and found a food to serve that matched the story somehow. This was a little more difficult in Charlotte's Web. I mean, we could have had rotten eggs or pig slop or lots of fair food like cotton candy and funnel cakes and stuff ourselves sick like Templeton the rat, but we opted against that. Instead, we made Charlotte and Wilbur cupcakes. Sophia decorated all of the spider web cupcakes. 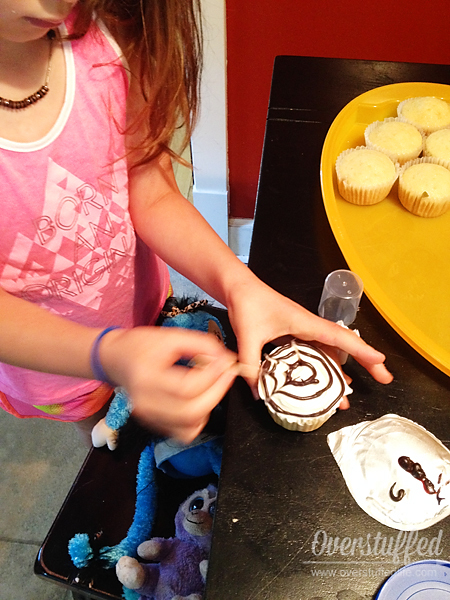 I piped three circles of black frosting on the frosted cupcakes, and she carefully dragged a toothpick through them to create the webs. She LOVED doing these, and I have a feeling we'll be making them again at Halloween. 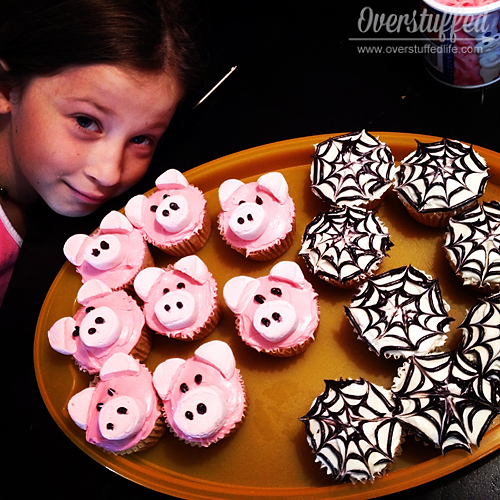 And believe it or not, the pig cupcakes were incredibly simple to make! We frosted them pink to begin with, and then cut large strawberry marshmallows in half for the snouts. We then cut one of the halves in half again for the ears. Then I quickly piped black dots on for nostrils and eyes and we were finished! Easy peasy, and perfectly adorable! Sophia was very proud of herself. And the cupcakes may have been the biggest hit of book club. Finally, I just wanted to talk a little about the discussion part of book club. The older the kids are, the easier this part is, but I have found that they are really willing to talk about the book. Most of them. There are always a few who don't have a lot to say, so don't make them feel like they have to participate in the discussion. Because there are also always those who have plenty to say. Sophia didn't feel like she wanted to lead the discussion this time, so I did that for her. I found this packet online, and used a few of the questions and ideas from there. I loved how it was put together, and it helped me quite a bit to guide the discussion. I also asked each of the girls what their very favorite part of the book was, and that sparked a lot of discussion and chatter between them, as well. Our discussion lasted about 20 minutes, which I thought was really good for a bunch of 7 and 8 year old girls. And that's it! That's how we host our summer book clubs. And I must say, I love that my girls love having them. I hope that it's the beginning of many, many book discussions with friends. Here's to raising kids who love to read! 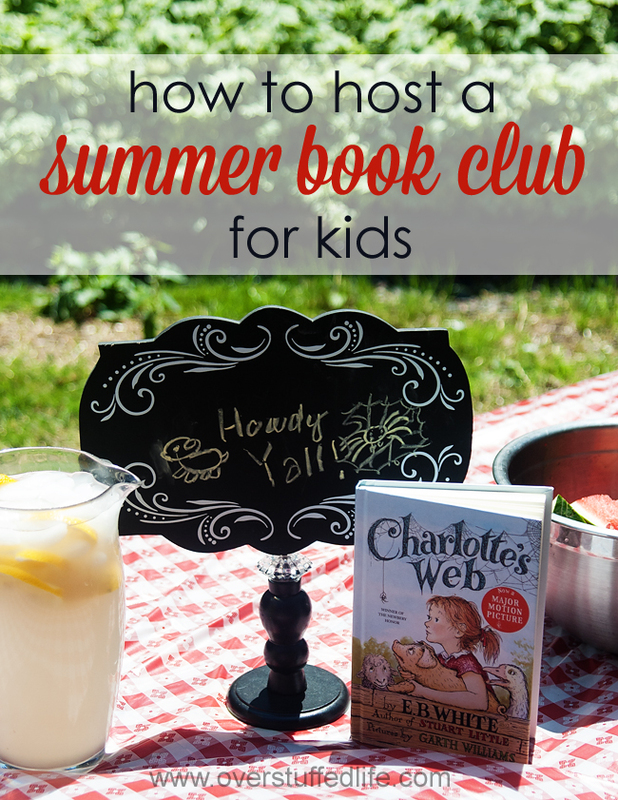 Overstuffed is sharing How to Host a Summer Book Club for Kids- FUN! So cute--My girls both love reading. I'll have to keep this in mind! 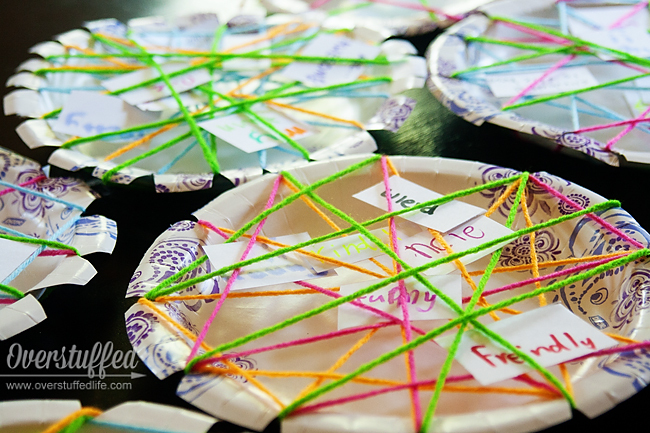 This is so inspiring and such a fun idea for the little ones! Perfect! My daughter would love this, as you know. Oh my gosh, this is insanely adorable. And everything looks so chic but still kid-friendly! I absolutely love it. Thank you. We had lots of fun doing it! 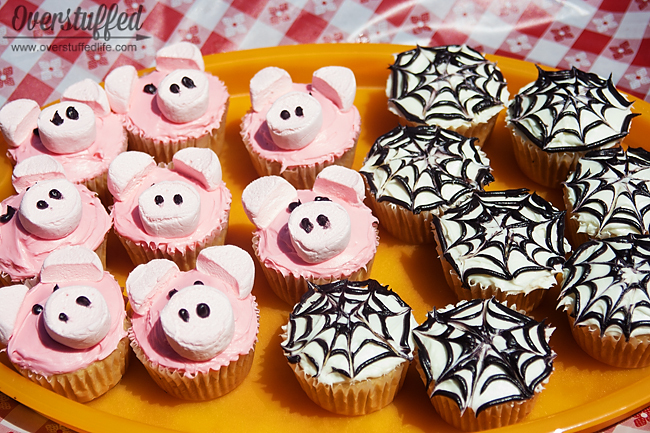 I think the pig cupcakes were my favorite, too. They've been a big hit at our house, and their friends have really liked them, too. I think the cupcakes were my favorite, too. And they were so simple! How fun! 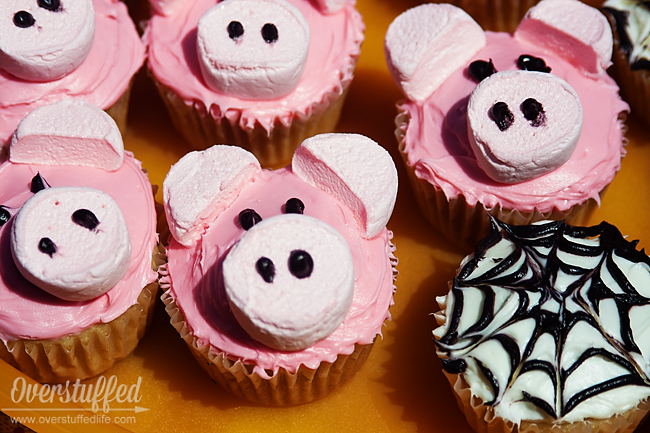 I really like the pig themed cupcakes! What a wonderful idea for kids. I love the decorations, the cupcakes and well...the whole thing! I can't wait to discuss the possibility with my 8 yr old grand. I am SO glad you linked to Bound by Books! For what it's worth, jeannie. We always have so much fun doing it every year. It's something I really look forward to!